The first eagerly awaited race of this years team series started with the triumph of getting 5 of my original 8 riders to the start line with 3 unfortunately having to withdraw due to illness. I rode around the course the other way to cheer on our riders and I was thrilled to see Corinne Hall riding a feisty race putting in several attacks at the front and Jill Parker, in her first ever road race, often riding on the front or near the front of the bunch and looking very smooth, calm and collected. 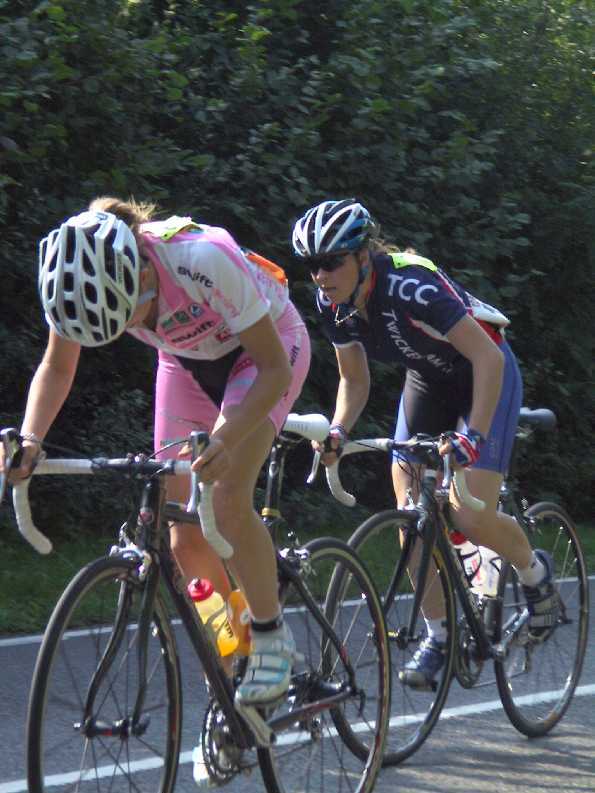 Also great to see Ann Marshall organising the trailing riders into a handy bunch including our riders Wiesia Kuczaj and Solveig Findley showing impressive form in their their first ever road race. Ann also showing sterling determination by racing a 2nd day in a row after coming 3rd Lady vet in the Ful-on tri duathlon yesterday. Unfortunately Corinne tried to make her last break for the finish when she had an opportunity but it was just a bit too far away and the bunch chased her down and she got swallowed up and spat out finishing just before Jill who had blown before the last sprint. Corinne was left wondering whether she should have sat in for the finish with everyone else but on reflection she felt she wouldn't have won the sprint and would have been left wishing she had gone for the break anyway. 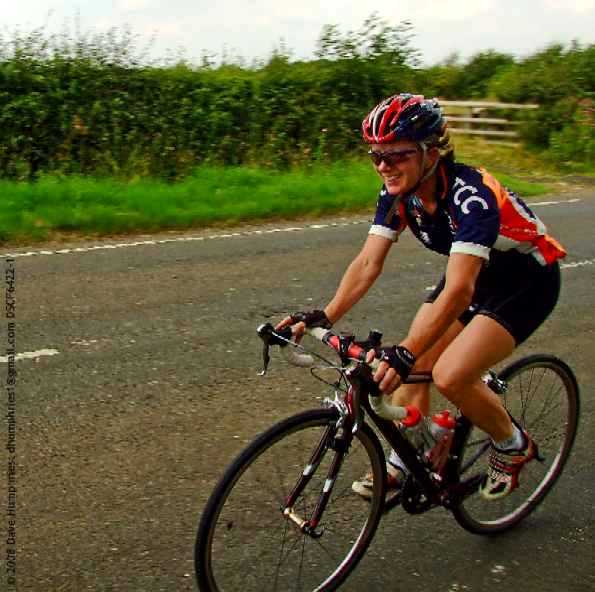 Still we live to see another day, and I feel with the strength and depth we have got in our womens team, we can only get better - watch this space - we have 8 riders entered in the next event at Bedford which is a 2 day stage race, 3rd and 4th May. A Race Report & Photos are available on the British Cycling website. For more information regarding the Women's National Team Series please visit the Team Series website.